HKTDC Hong Kong Electronics Fair is coming soon. UYLED will attend 2019 HKTDC Hong Kong Electronics Fair (spring edition) as usual. Many new products will be display in our booth. Please find more product info at https://uyled.com/uyled-products/fill-light/. Welcome you to visit us for business cooperation. UYLED will present new design LED lights for outdoor. We appreciate your continuous support for UYLED products and look forward to seeing you at our booth. UYLED, a global LED lighting manufacturer of smart camping lanterns, portable emergency lights, desk lamps and floor lamps, will exhibit and present at the 2018 Consumer Electronics Show (CES) in Las Vegas, January 9 – 12, 2018. CES is the world’s gathering place for all those who thrive on the business of consumer technologies. It has served as the proving ground for innovators and breakthrough technologies for 50 years — the global stage where next-generation innovations are introduced to the marketplace. Owned and produced by the Consumer Technology Association (CTA), it attracts the world’s business leaders and pioneering thinkers. For additional information about CES, please visit www.CES.tech. Time: January, 9 – 12. 2018. Shenzhen Youyang Technology Co., Ltd hereby cordially invite you to visit us at HKTDC Hong Kong Electronics Fair (Booth Number: 1A-B22 Hall 1), to be held at Hong Kong Convention and Exhibition Centre from October 13th to 16th, 2017. 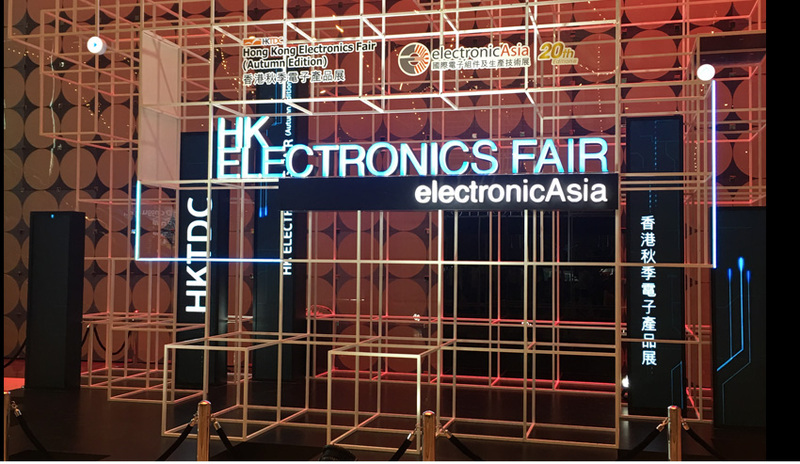 The HKTDC Hong Kong Electronics Fair (Spring Edition), the largest spring electronics event in Asia, opens today. The fair date is from 13 April to 16 April. Opening hours: 9:30am-6:30pm. We brought our newest products here. Welcome to our booth 3C-D19. For more information, please visit www.uyled.com, or mail us info@uyled.com. Hong Kong Electronics Fair 2017 will be held during April 13-16 at the Hong Kong Convention and Exhibition Centre. It’s one of Asia’s largest electronics fair with more than 4100 exhibitors and over 66,000 sqm of floor space. And it presents all kinds of electronics products and services. UYLED will attend the fair and will take the newest products to show in Booth No. : 3C-D19. You will see our remote control waterproof led lamps, remote control RGB lights and the newest emergency light. Welcome you to come and visit us. Welcome to Hong Kong Electronics Fair (Autumn Edition). We will show you many new products. On July 23th to 26th,2015. 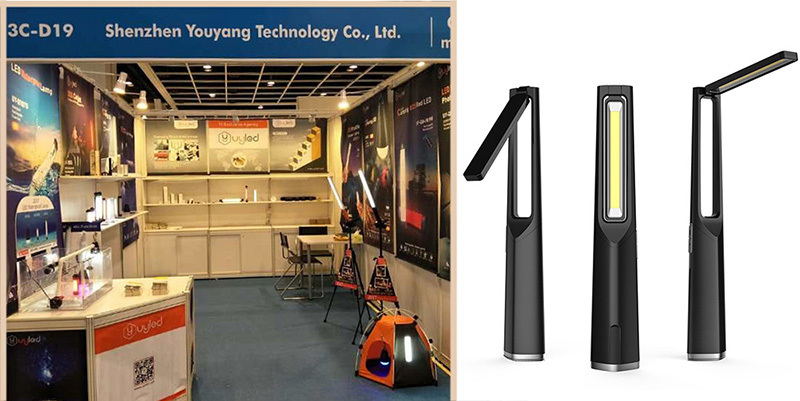 Youyang Technology brought many outdoor series of lights, Stunning appearance to the 10th Asia outdoor trade fair Exhibition (Nanjing Expo Center). As the exhibitor of this trade fair ,we well-appointed our booth before the Expo and dispatch our top sales team to attended, showing the new products including Fashion & Exquisite Q8 led outdoor light,Super waterproof Q7 series of led camping lights,Portable highlight Q6 series of emergency lights and Classical UY-30 led solar rechargeable lights. Depending on our superior product’s quality, creative design and professional services team,we won the favor of many customers and received their orders during the exhibition. Welcome to HKTDC HongKong International Lighting Fair 2015(Spring Edition).We will show you many new products.